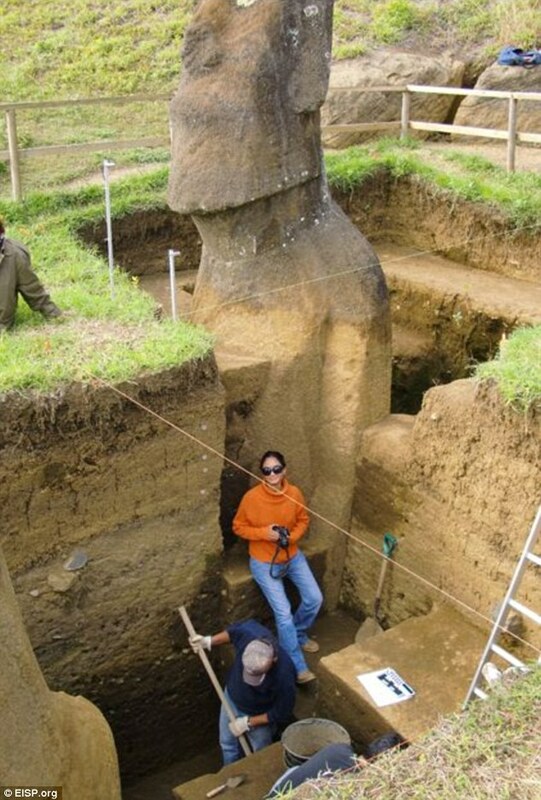 An amazing archaeological find, but you must just wonder how come no-one ever checked before? Now you mention it I have vague memories of bodies having been discovered too a long time ago too. Damn those alien memory erasers. ok i have switched my brain on now.... we have all seen pics of the bodies and there are rows and rows of them with the bodies in clear view, it's just that some of the statues have had mud/earth deposited around them, gradually burying them etc. interestingly, the on the pic of the half buried statues, the faces seem more eroded/weathered to me.